You’re following it, right? The health and wellness trend? If you’ve been involved in any form of social media in the past couple of years, you can definitely identify the sudden deluge of mainstream nutrition in every corner of the internet. 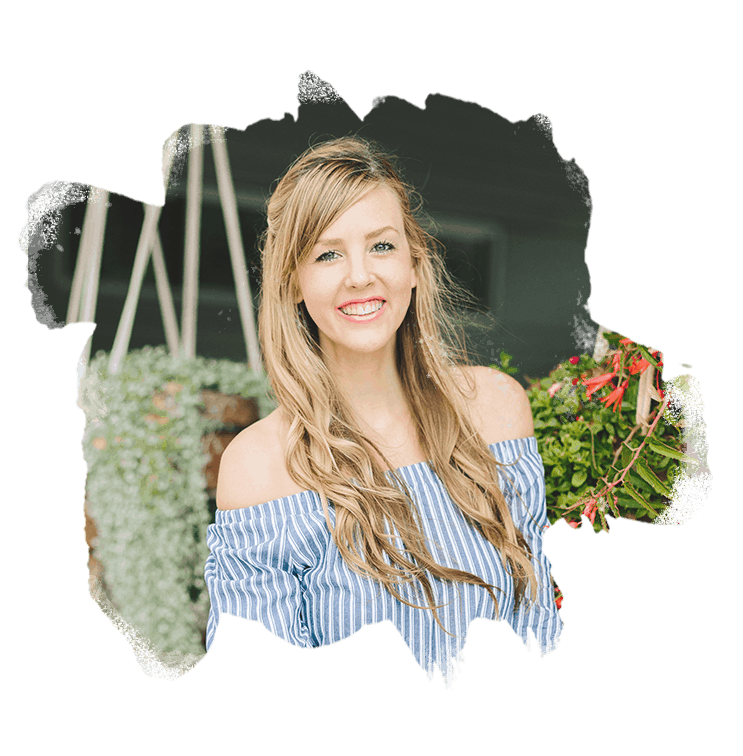 Pinterest is saturated with ‘healthy’ recipes, and as a girl working to make a living as a wellness warrior in the health industry, I can totally get behind this. What I can’t quite stand behind, however, are the unhealthy foods being as touted healthy. Things are not always as they seem. As long as health and wellness is trending, we are going to have to look beyond the labels and the deceptive powers of marketing in order to truly determine what is and is not good for our bodies. The good news is, foods that support you in building a strong and healthy body do exist. By looking past the marketing gimmicks and beyond the numbers on the labels (calories, fat, fiber, protein, etc. ), you can find foods that are satiating and healing. Move away from the Pinterest, take a second to review our first list in our new series, Unhealthy “Health” Foods, and make your transition to a healthy lifestyle even quicker by avoiding them in the aisles. When did sugar become a superfood? I assume it was at the same time in history that trail mix, along with nut & fruit based bars, became touted as health foods. At one point, sugar sweetened fruit and chocolate chips mixed with nuts would have been considered a decadent dessert. We now consider this sugar spiking treat to be a mindless office snack. Standard grocery store trail mix consists of not-so-fresh nuts which can be oxidized, go rancid due to expiration or heat exposure, and contain high levels of mold and other toxins. In addition to the nasty nuts, standard or conventional trail mixes contain sugar bombs disguised as dried fruit and often add even more sugar to the batch with the unnecessary addition of chocolate chips or candy covered nuts and fruits. Make your own trail mix by following one of the recipes we shared here in Grain Free Snack Packs. I no longer eat nuts and seed due to a recently identified intolerance, but in the past my favorite mix was that of cashews, chopped, unsweetened dried figs, unsweetened coconut flakes, and fresh blueberries. Coming in at 24 grams of sugar for every 8 ounces of juice, fruit juice isn’t much better than the soda sitting next to it in the beverage cooler. The sad truth about juice is. drink just 12 ounces of it and you’ve surpassed the recommended daily amount of 25 grams (for women, anyway) by close to 50%. It’s true, fresh squeezed fruit juices you’ll find in juice bars are, in fact, loaded with nutrition. However, they contain too much sugar to be considered a healthy addition to your daily diet. The fruit itself isn’t inherently bad, because in its whole form, it contains fiber. This fiber in fruit helps the sugar that the fruit contains to be slowly absorbed into the blood stream. Now, the process of juicing completely removes the fiber, and thereby causing the amount of sugar found in it to be of concern. If you’re looking to increase your waistline, spike your blood sugar, increase inflammation, and age your skin, drinking fruit juice is one way to do it. The upside to fruit juices, as I mentioned before, they’re loaded with nutrition. To reap the benefits for fresh squeezed juices, grab one from a café or juice bar and request your own mix of both fruits and vegetables. Our favorite combo is 1 head of romaine + 1 cucumber + 1 lemon + 1 green apple. Subtly sweet and full of the vitamins and nutrients your body is craving. We’ve all heard the marketing merits of non-fat yogurt: good source of calcium, a heart healthy snack, high in protein, a rich mouth feel, a good source of probiotics. A couple of years ago during marathon training, I succumbed to the marketing tactics, and consistently included non-fat frozen yogurt as a recovery “meal” after a long run. After years of research and schooling on how to eat to optimize nutrition, I’ve come to the conclusion that non-fat yogurt has a shady side. Many shady sides, actually, and I’m not alone in this. Let’s start by explaining the shady sides non-fat yogurt coming specifically from grain-fed cows, factory farmed cows raised in confinement and fed exclusively genetically modified and chemical covered corn and soy, as opposed to grass-fed cows. Grass-fed cows are pasture raised and live much healthier and happier lifestyles. Stay tuned for another blog on just this subject. You can identify grass-fed dairy by checking to see if it specifically says grass-fed. If it is missing this statement on the label, as is most dairy in conventional grocery stores, drop it. Here’s why. Grain-fed dairy is missing vitamin K2, a necessary vitamin for keeping calcium out of your heart. So the marketing merit, “heart healthy snack”? Nope. Let’s move onto the next naughty marketing merit, which is also related to the distinction of grain-fed vs. grass-fed: “Good source of calcium”. While consuming grain-fed dairy may help you to reach the recommended daily amount of calcium, you’re honestly just chasing your tail. Remember now, grain-fed dairy is missing vitamin K2, the lack of which, causes calcium to not be able to enter your bones. Now that we understand that we are strictly talking about the unhealthy aspects of grain-fed, non-fat yogurt, let’s talk about fat. The non-fat dairy started to get hyped up in the 40’s when the Ancel Keys lipid hypothesis study came out. It’s recently been completely debunked. Y’all, there is no need to worry about the saturated fat content of grass-fed, full fat yogurt and other dairy. Fat is a necessary macronutrient that our brain and body needs to thrive (and to fight fat). That’s why I hear so many of my clients stating the incredible mental clarity they have upon starting to increase their saturated fat intake. When consuming grass-fed dairy (an important distinction), the demonization of saturated fat falls flat. Let’s all vow to ditch our idea of saturated fat being bad, as evidenced by many modern nutritional studies (1, 2, 3). The last merits I’ll attempt to debunk: “high in protein” and “rich mouth feel”. Non-fat yogurt is made by processing milk to remove the fat, and then adding live cultures to the dairy to turn it into yogurt. Non-fat milk protein is often added to boost the protein content (as is true with Greek yogurt), while keeping the fat content low. Sugar is added to improve the mouth feel and flavor. What we are left with is a highly processed, unnatural, protein and sugar filled frankenfood. The way these two merits are achieved is so similar to the MSG/junk food debacle (again, a blog coming soon!). If you have to process the sh*t out of something, then stuff it full of an engineered substance just to make palatable what was once a delicious, whole food… I say, “No freakin’ thank you.” Calories be damned, I’ll take the full fat dairy, any day. Fill your bowl with raw, grass-fed, full fat yogurt. Add a bit of organic Grade B maple syrup or raw honey, slice a few organic strawberries on top, and add a dusting of cinnamon for a super indulgent, high fat (remember, the good kind coming from grass-fed cows! ), high protein treat. Better yet, try replacing your yogurt treat with this Coconut Milk Panna Cotta. Now that we’ve covered the bad, I’d like to clarify, you don’t have to give up your favorite unhealthy health food forever. Do I sneak a pinch of trail mix from the Whole Foods bulk bin if it is calling out to me? Yes, I’m not proud of it. Will I drink a flute of champagne and orange juice if its handed to me at 3 pm at the hair salon? Duh. I’d probably even indulge in a few bites of froyo if the opportunity were to arise. 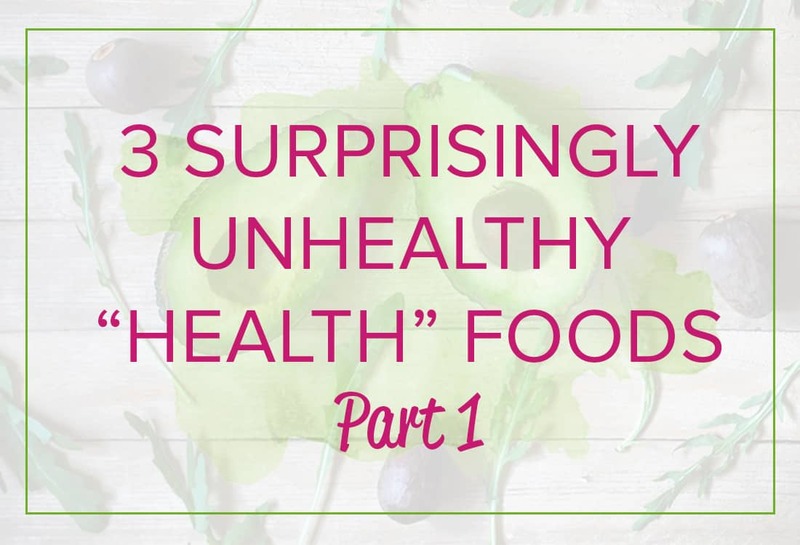 The take away of this new Unheathy Health Foods series: there is little validity behind the marketing tactics you see on the packaging of the products in the grocery store aisle. Do yourself a favor, and keep them from trending in your daily diet. Wanna experience first hand how eating fat can actually help you to lose fat and gain energy? 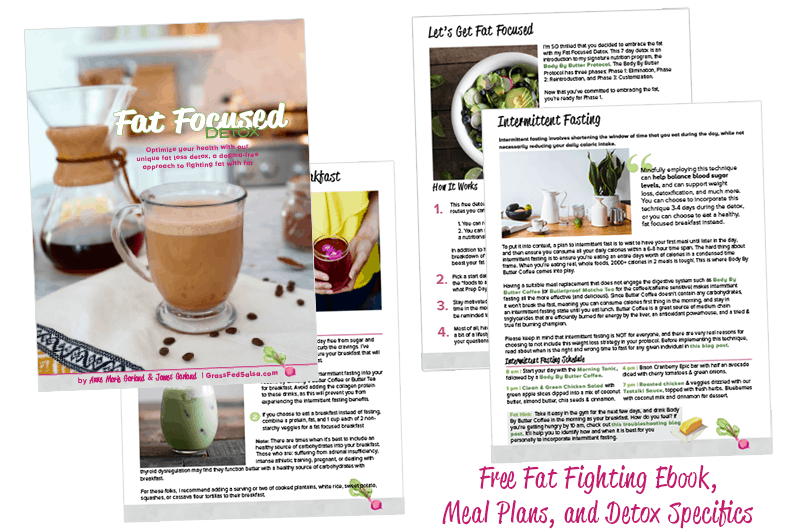 Give my Fat Focused Detox a week and you’ll never go back. Bonus: it’s free! This is great! I totally agree! People often think that things like trail mix, granola bars or even 100 calorie packs are healthy, when in fact they’re loaded with unhealthy ingredients, sugars and refined carbs!! Thanks for the informative post! !